“USS Callister” has won three Emmys in 2018 so far, including TV Movie, Sound Editing, and Single-Camera Picture Editing. This is the second Best TV movie win for Black Mirror. Black Mirror has also been nominated for eight Emmys this year, including writing, editing, and Letitia Wright (Black Museum) and Jesse Plemons (USS Callister) are up for nominations in their lead roles. The remaining winners will be revealed at the Primetime Emmys taking place on Monday 17th September. 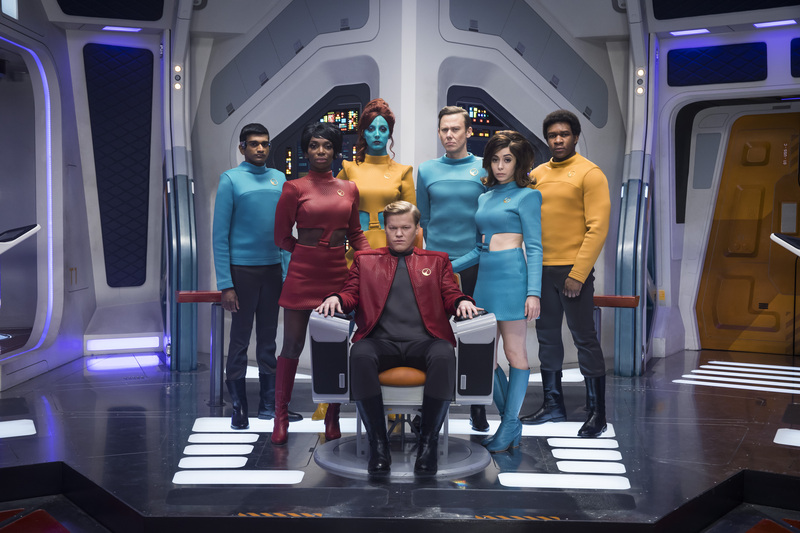 “We wanted to do a story about a tyrant,” Black Mirror creator Charlie Brooker said backstage of this season’s USS Callister Best TV Movie win. Black Mirror is produced by House of Tomorrow at Endemol Shine UK.